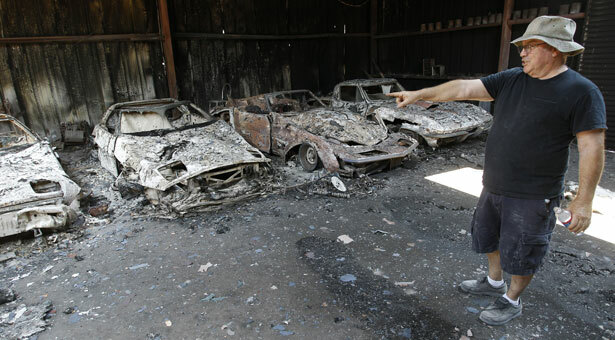 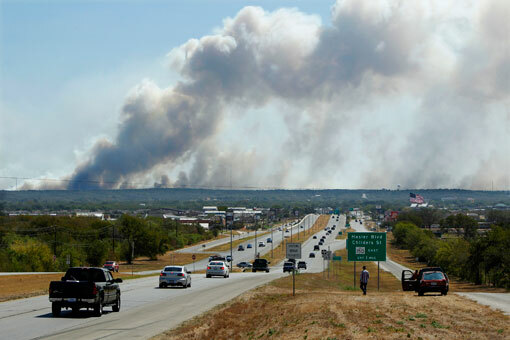 Crews in Texas battled dozens of wildfires that have destroyed more than 1,000 homes in just two days and forced thousands to flee thick smoke and flames. 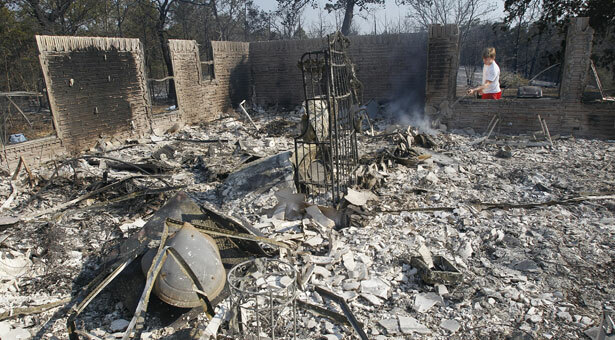 "This is one of the meanest fires I've ever seen," Texas Governor Rick Perry told reporters after an aerial tour of the homes destroyed in the Steiner Ranch subdivision. 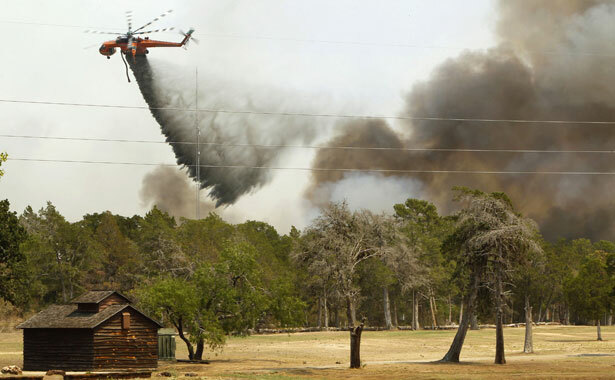 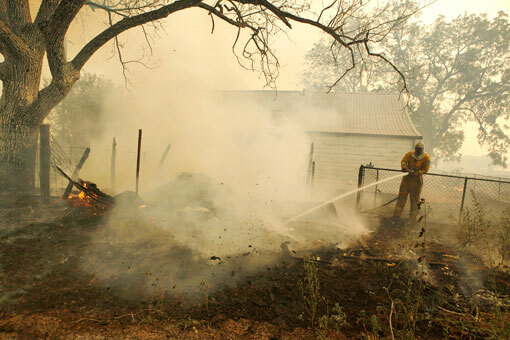 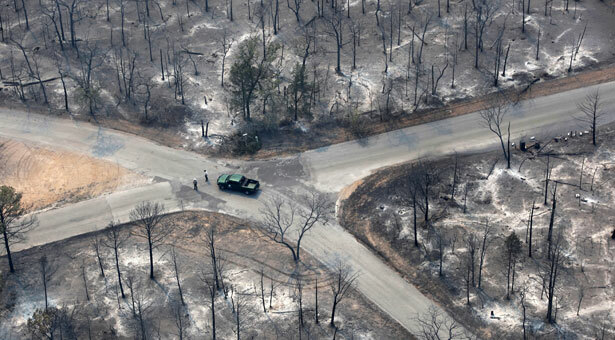 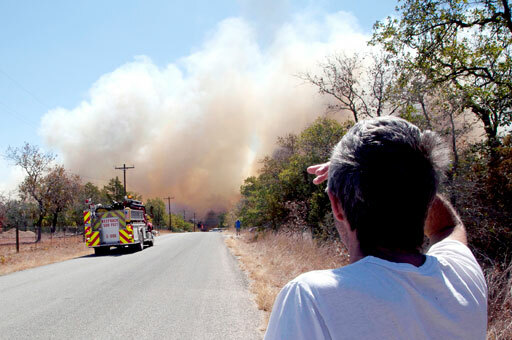 The worst blaze remains uncontrolled after devouring 30,000 acres (47 square miles or 121 square kilometers) and nearly 600 homes in Bastrop county, prompting mass evacuations as weather forecasts suggested the situation would get worse. 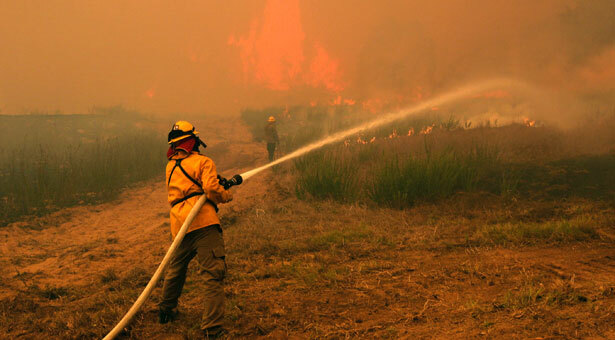 More than 3.5 million acres (about the size of the state of Connecticut) have been burned by 18,719 blazes since the wildfire season began in December.